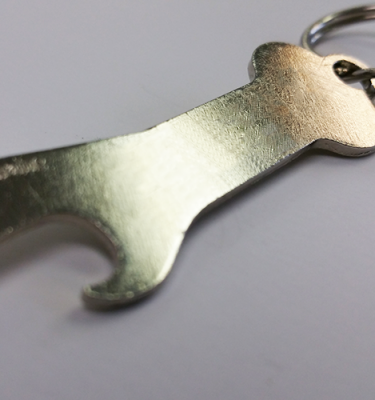 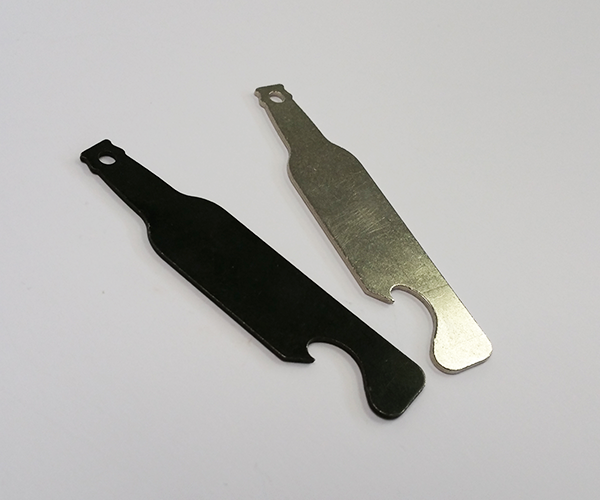 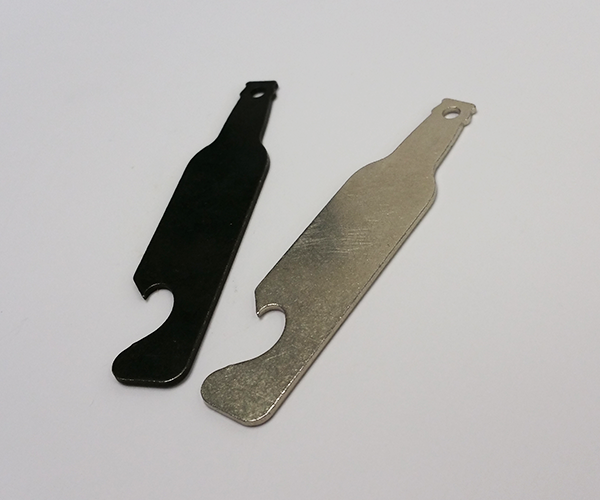 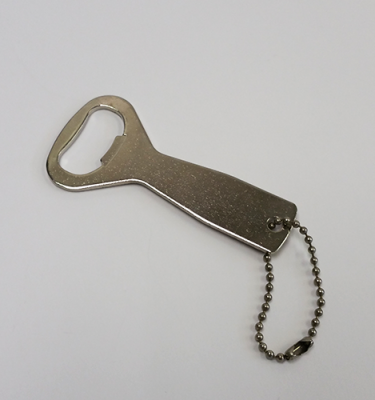 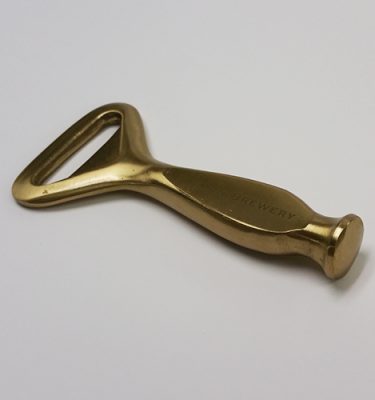 We have a nice design key chain bottle shaped bottle opener. 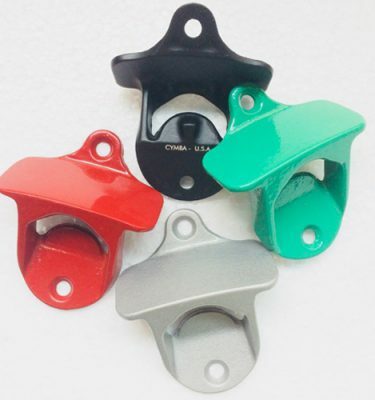 The can come in stainless, Ni plated and in colors. 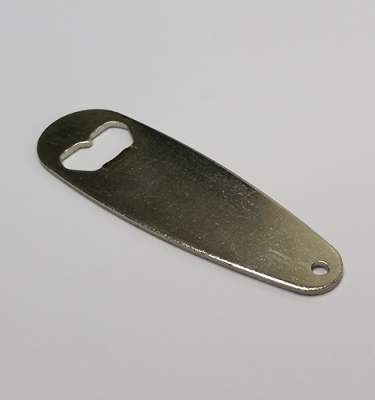 This opener is very good for promotions and event giveaways. 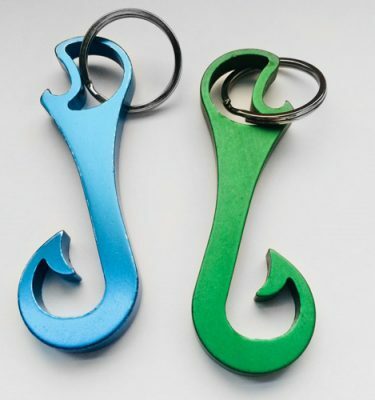 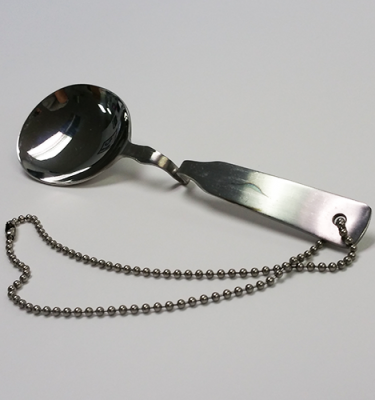 Sold as a minimum of 100, they can accommodate 3mm ball chain or key ring. 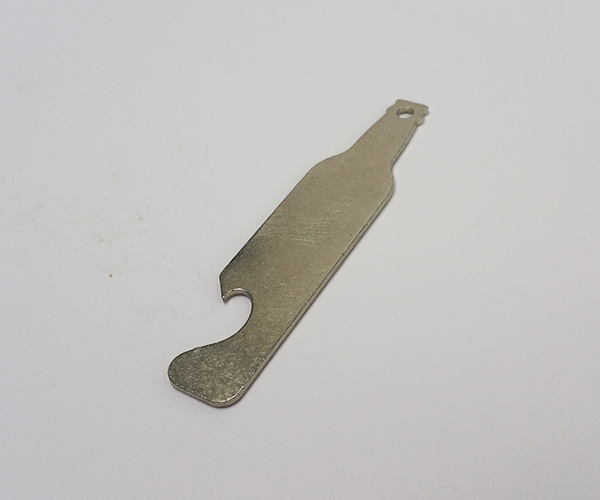 There is plenty of room for branding, and can designed to your label design in laser or silk screen of your product… Larger orders can have a stamp made for one ore twos died stamping… for 5000+ stamp option most cost effective.